This product is ideal for anyone wishing to install central locking or electric windows to a vehicle with sliding doors. 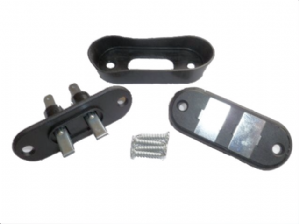 The kit consists of two spring loaded plungers mounted onto a rectangular plate and a corresponding plate with two contact points. Complete with all required wiring terminals & mounting screws. The plungers are also the electrical contacts and are capable of carrying up to 20Amps @12/24vdc. The plungers are fully protected against the elements by the inclusion of a moulded shroud. Pack of 5 x 3 Amp diodes. RED flashing 12 volt L.E.D light & holder. Pack of TWO . 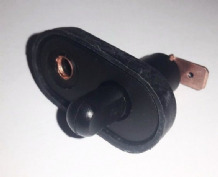 Extremely high quality car alarm or courtesy light switches. Suitable for door , boot, or bonnet applications. Pack of TWO . Extremely high quality car alarm or courtesy light TELESCOPIC switches. Suitable for door , boot, or bonnet applications. Pack of TWO . Extremely high quality car alarm or courtesy light switches. Suitable for door, boot, or bonnet applications. Stainless steel, high quality car alarm or courtesy light switches. 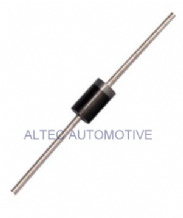 Suitable for door , boot, or bonnet applications.